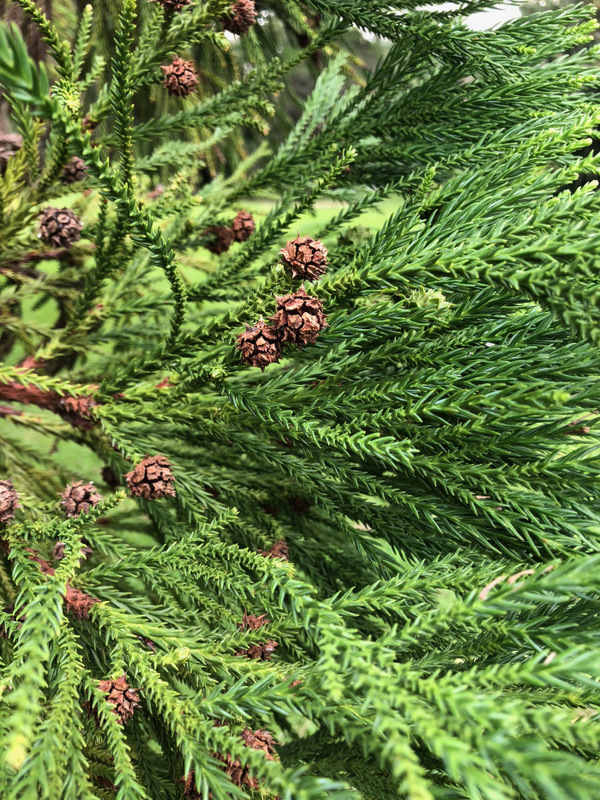 Cryptomeria japonica, commonly called Japanese cedar or Sugi, is a tall, evergreen conifer with tiered horizontal branching. The genus Cryptomeria is monotypic and unrelated to the true cedars (Cedrus). It is endemic to forested areas in Japan, and the species has been cultivated for so long in China that it is often thought to also be native there. 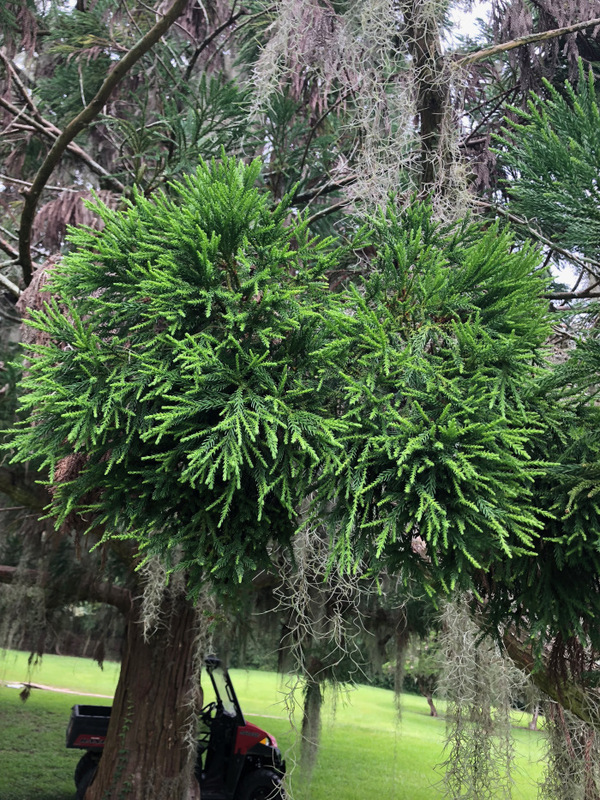 Genetic analysis of the most famous Chinese population of Cryptomeria, containing trees estimated to be nearly 1,000 years old, supports the hypothesis that the population originates from an introduction and is not native. Sugi is the national tree of Japan. Many huge, impressive Sugi planted hundreds of years ago persist at temples and shrines throughout Japan. Approximately 13,000 Sugi, planted 400 years ago, line the world-famous Cedar Avenue of Nikkō. At 40 miles long, it is listed in the Guinness Book of World Records as the longest tree-lined avenue in the world. It is estimated that originally 200,000 trees were planted. The Cedar Avenue of Nikkō is the only cultural property designated by the Japanese Government as both a Special Historic Site and a Special Natural Monument. Two very large Cryptomeria trees occur in Jungle Gardens. One is located on the right side of the path leading down to Bird City. With its unique foliage and impressive 24 inch diameter trunk, this grand tree is very easy to locate. The soft foliage is superficially similar to that of Giant Redwood, but longer. Its small seed cones are brown when mature. 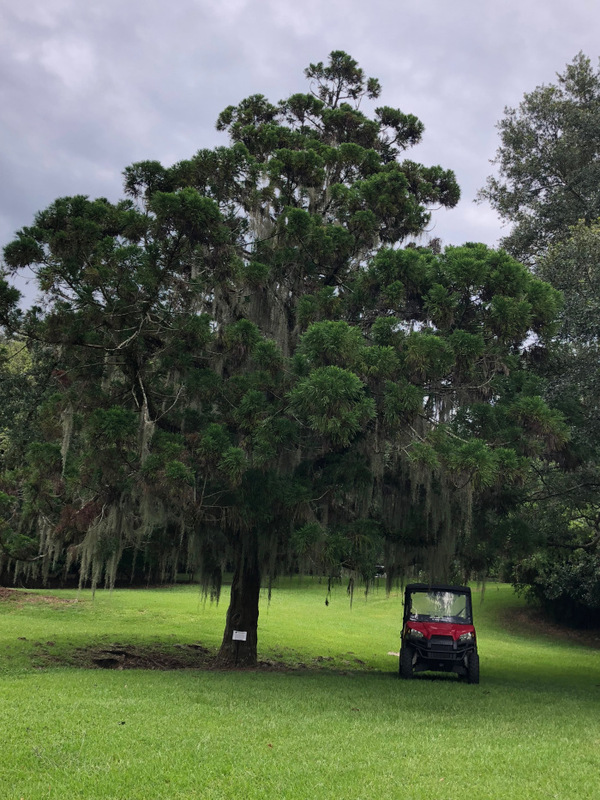 The second, even larger Cryptomeria is in an open, sparsely planted area adjacent to Holly Hedge Road, directly across the road from the famous Cleveland Oak. This truly spectacular Japanese Cedar has a 31 inch diameter trunk. The two trees in Jungle Gardens are the original wild type of Sugi that occurs in Japan. Many Sugi cultivars exist today. Both compact and dwarf forms are extremely popular in the nursery trade, so much so that the original natural type found here at Jungle Gardens is seldom seen or available for purchase.